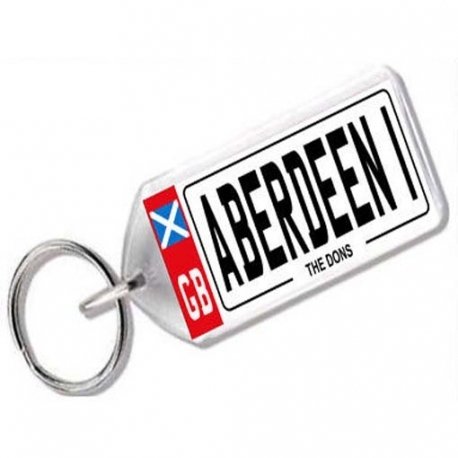 A brand-new acrylic Aberdeen keyring in red finish with the nickname "The Dons" at the bottom. Designed to look like a UK number plate with the Euro flag symbol at the side. 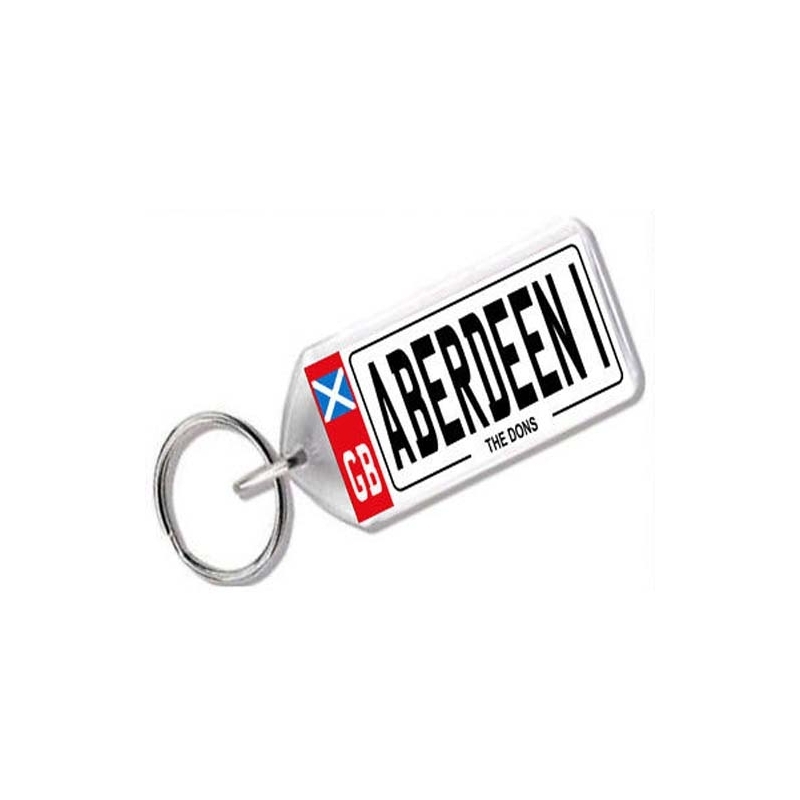 Made from clear acrylic plastic with a domed finish so it magnifies the insert. 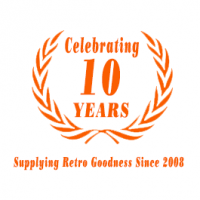 We stock most football teams, if you don't see the team you need please contact us and we'll be pleased to help.